The end of summer is approaching, which means a few weekends left for enjoying some quality beach time with family and friends. Whether you’re a newcomer to the Wilmington area or a long-time resident looking for some beach getaway inspiration, here are a few Delaware shorelines worth exploring this summer! Opportunities for swimming, sunbathing, boogie boarding, boardwalk strolling and tons of tax-free shopping are just a quick jaunt from the beautiful new home communities by Montchanin Builders. For decades, this beautiful stretch of shoreline has been one of the most popular beach destinations for Delaware vacationers. Rehoboth Beach features a welcoming, mile-long boardwalk lined with charming boutiques, restaurants, old-fashioned candy shops and other family-friendly amusements. 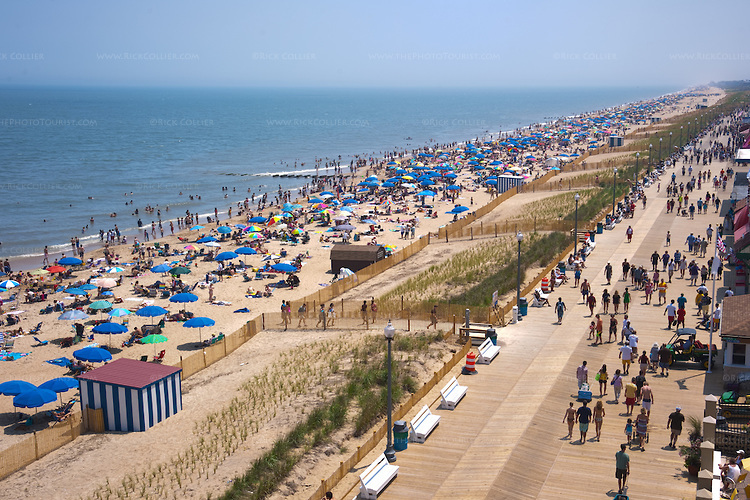 According to the ABC Travel Guide, Rehoboth was named one of the top family east coast beach destinations in 2014. Beyond frolicking in the surf, visitors can partake in some serious retail therapy along the boardwalk and Main Street, browse local galleries, and sup on delicious food and craft beer. Kids will definitely want to head to Funland, an iconic amusement park that is walking distance from the beach. Midway games, a carousel and several adrenaline-pumping rides are sure to keep the entire family entertained for hours! Dewey beach is a cherished family resort destination, renowned for its pristine waters and broad sandy shores. The summer months see an increase in sports enthusiasts who come for the jet-skiing, parasailing and boating opportunities. Quaint bayside shops and eateries line the waterfront, which is dotted with a few local legends like bar & restaurant The Starboard. Known for its live music, champion Sunday brunches and make-your-own Bloody Mary Bar, this Dewey Beach hotspot is a favorite among partygoers. The area hosts tons of interesting festivals, including the Dewey Beach Music Conference, which will run during the last weekend of September. Bethany Beach is a terrific choice for families with young children. 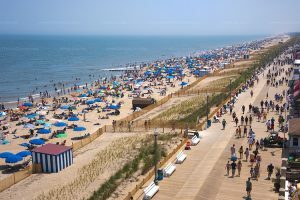 It’s much quieter than Rehoboth and Dewey beach in terms of party-goers, and the recently expanded boardwalk has your requisite funnel cakes, ice cream, surf shops, and fun places to eat. Parents rave about the safety and security of Bethany Beach, which is well-monitored by lifeguards and has a strong police presence. The waves are great for young swimmers and boogie boards, and dolphin sightings are common! Bethany also dazzles with movies at the beach, shown every Monday night off Garfield Parkway. Showings include Disney and Pixar favorites like Minions, Snow White and the Seven Dwarfs, and Zootopia. Labor Day is just around the corner, so it’s time to soak up those last glorious rays of summer. Day trips to family-friendly beaches are easy for residents living in the greater Wilmington area. To learn more about new Delaware homes by Montchanin Builders, we invite you to explore the developments of Darley Green, The Cedars, Shipley Road and the Town of Whitehall. These walkable communities feature a selection of luxury single family estate homes, condos and townhomes built with attention to quality and value. Contact our sales representatives today to schedule a tour of our affordable, move-in ready homes!